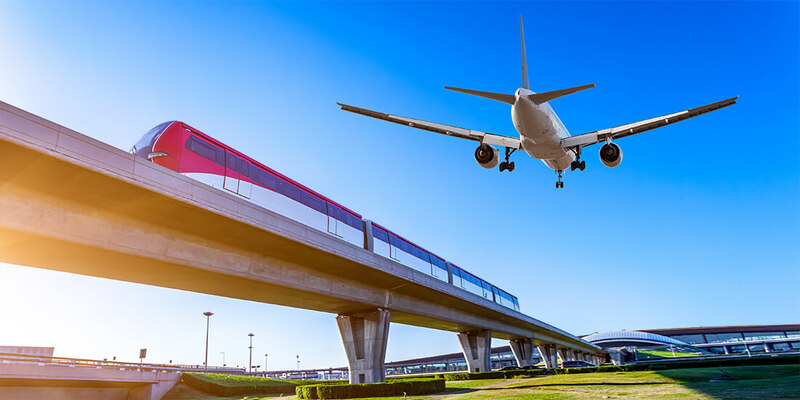 Air, rail, and bus infrastructure projects around the world promise to improve the journeys of millions of travelers. Around the world, 2019 will be an exciting year for infrastructure projects. In December 2018, the US Department of Transportation (USDOT) announced a $1.5 billion grant to fund 91 infrastructure projects around the country. This news couldn’t be more timely, considering the 2017 American Society of Civil Engineers (ASCE) infrastructure report card gave the United States an overall D+ grade and a D- for transit, stressing that “deteriorating infrastructure is impeding our ability to compete in the thriving global economy, and improvements are necessary to ensure our country is built for the future.” For inspiration, we explore the biggest, most complex transportation infrastructure projects around the world. The World Bank approved a $295 million package toward the Greater Beirut Public Transport Project in Lebanon. The project, which launches the country’s first modern transit system in decades, will overhaul Lebanon’s transport sector by introducing new buses that will serve the country’s northern districts to Beirut. In addition, the project will create two million labor days in construction jobs for thousands of unskilled, low-income Lebanese and Syrian workers. Etihad Rail is the developer and operator of the United Arab Emirates national rail network. In November 2018, it announced it received financing for the second phase of an $11 billion transit project that had been put on hold in 2016. Thanks to the new deal, the project will run about 745 miles of new rail across the UAE and is expected to increase the volume of goods transported from 7 million tons to 50 million tons. Nigeria is building a 154-mile railway in the hopes of channeling exports from its landlocked neighbor, Niger, and has given the China Civil Engineering Construction Corporation $6.68 billion to build a major segment of it. Rotimi Amaechi, Nigeria’s transport minister, said the goal was to channel Niger’s exports through Lagos in Nigeria and away from rival ports in neighboring Benin, Togo, and Ghana. In addition, the link would serve a new oil refinery that will be built in Maradi, the third largest city in Niger. The China-Pakistan Economic Corridor is a $62 billion collection of infrastructure projects intended to rapidly modernize Pakistani infrastructure and strengthen its economy through the construction of modern transportation networks, numerous energy projects, and special economic zones. Check out this video to see a section of one of the motorways under construction. Beijing’s $11.5 billion Daxing Airport, designed by Zaha Hadid, will eventually accommodate 100 million passengers annually. Although Hawaii was the only US state that didn’t receive a grant in 2018 for transportation infrastructure projects, construction of tracks on its $8.3 billion rail project is still in progress. The Honolulu rail transit project is the largest public-works project in Hawaii history, meant to alleviate worsening traffic congestion on the Oahu island. The project was scheduled to be completed in 2018, then 2020, and is now expected to be completed in 2025 at the earliest. California’s $100 billion high-speed rail is finally under construction. The rail will connect Northern and Southern California, traveling at speeds up to 220 miles per hour. When the full route is completed in 2033, it is expected to carry more than 30 million passengers each year and transport riders from San Francisco to Los Angeles—nearly 400 miles—in less than three hours. China is expected to overtake the United States as the world’s biggest air-travel market by 2022. In light of this growth, the Chinese government plans to build or expand 74 airports across the country by the end of 2020. No project, however, is more extensive than the $11.5 billion Beijing Daxing International Airport: Designed by the late Zaha Hadid, the mammoth aviation hub will eventually offer seven runways to accommodate 620,000 flights and 100 million passengers each year. Learn the benefits of integrating GIS and BIM in maintaining roads and railways. Japan’s new Chuo Shinkansen maglev (magnetic levitation) line, also known as the Tokaido Shinkansen Bypass, will take travelers in Tokyo to Nagoya (177 miles) in 40 minutes, reducing travel time between the two cities by more than 50 percent compared to the existing nonmaglev line. The route will connect seven prefectures and will be designed for a maximum speed of 310.7 miles per hour, which would make it the fastest train in the world. The first phase, which has an estimated price tag of $52 billion, is expected to open in 2027. London’s $19 billion Crossrail Project underground train system features 26 miles of tunnels and connects 40 stations. The route, known as the Elizabeth line, will help ease London’s chronic congestion by connecting major landmarks like Heathrow Airport and Canary Wharf District. Transit officials expect 200 million passengers a year to use the new underground line, which will increase London’s rail capacity by 10 percent. The new line is expected to open in the fall of 2019.